From the beginning of time Satan has tried to confuse the human race about the meaning of God’s statements. Satan’s first statement to Eve was not a direct attack on what God had said but rather an insertion of doubt as to what God really meant. “Yea, hath God said, Ye shall not eat of every tree of the garden?” The implication and manner of question assumes a completely different framework of understanding. Satan’s question suggests that there must be some kind of mistake here. Satan does not seek to establish any reason why he thinks there is a mistake in what Eve thinks God has said, he just assumes it is a mistake based on his own frame of reference. That frame of reference of course is that everyone has an independent life source as we outlined in the first few chapters. This assumption is never stated but is simply assumed. The plain and literal meaning, accepted and embraced by Adam and Eve would have prevented the untold misery that the human race now suffers. What is the point of this illustration? A key element of Satan’s attack on truth is to infer doubt concerning the literalness of God’s plain statements. Once the doubt is sustained, then the direct attack takes place. This is what Satan did when he boldly stated “You shall not surely die” – This was the direct attack after the initial insertion of doubt. The fact that Eve had to restate what God had said suggests that she needed to reassure herself. She could have simply said “YES!” and offered no explanation. The justification offered suggests that the seed of doubt was already growing in her mind. Empirical and scientific evidence further embellished this doubt. The fact that the serpent was eating the fruit, was still alive, and could talk added weight to the serpent’s underlying suggestion that there must be some mistake either about her understanding of what God said or that God was simply wrong. The rudiments or first principles of the world stem from the first lie – you shall not surely die. It suggests inherent life and power are possessed by mankind and consequently that the display of such power reveals the value of the man. These principles are constantly at war with the plain statements of Scripture which continually remind us that God created us and we are responsible to him every moment of every day. Mortal, Death is literal – return to the dust. Wages of sin is death not eternal life in hell. Christ literally took our nature, not the nature of Adam before the fall. Literally took place – The whole person of Jesus died. No other denomination holds a consistent and literal view of these Bible doctrines. Many churches are simply not able to hold these doctrines because of a spiritualizing of other doctrines. For instance, most churches believe in the immortality of the soul and that the righteous go straight to heaven. Such a belief makes null and void the concept of an investigative judgement. For some it also negates the need for a literal second coming. For others a belief in evolution renders useless a belief in the Sabbath, it simply has no meaning. Also a spiritualizing of the nature of Christ renders meaningless the concept of a real Christian perfection. If Christ did not literally take our nature then we can not literally have victory over sin. The cause and effect is simple if not obvious to the discerning Bible student. 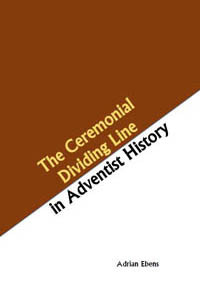 The Adventist Pioneers had to pick their way through many spiritualized views to build their platform. The Advent doctrine was built upon a clear system of interpretation that allowed the Bible to explain itself clearly and simply. William Miller wrote out a 14 point list called rules of interpretation. Let us notice some of these rules. To understand doctrine, bring all the scriptures together on the subject you wish to know; then let every word have its proper influence, and if you can form your theory without a contradiction, you cannot be in an error. Isa.28:7-29, 35:8. Prov.29:27. Luke 24:27,44,45. Rom.16:26. James 5:19. 2Pet.1:19,20. Scripture must be its own expositor, since it is a rule of itself. If I depend on a teacher to expound it to me, and he should guess at its meaning, or desire to have it so on account of his sectarian creed, or to be thought wise, then his guessing, desire, creed or wisdom is my rule, not the Bible. Ps.19:7-11, 119:97-105. Matt.23:8-10. 1Cor.2.12-16. Eze.34:18,19. Luke 11:52. Mal.2:7,8. God has revealed things to come, by visions, in figures and parables, and in this way the same things are oftentime revealed again and again, by different visions, or in different figures, and parables. If you wish to understand them, you must combine them all in one. Ps.89:19. Hos.12:10. Hab.2:2. Acts 2:17. 1Cor.10:6. Heb.9:9,24. Ps.78:2. Matt.13:13,34. Gen.41:1-32. Dan.2. 7. and 8. Acts 10:9-16. I believe the Bible is the revealed will of God to man, and all therein is necessary to be understood by Christians in the several ages and circumstances to which they may refer; - for instance, what may be understood to-day might not have been necessary to have been understood 1000 years ago. For its object is to reveal things new and old, that the man of God may be thoroughly furnished for, and perfected in, every good word and work, for the age in which he lives. I believe it is revealed in the best possible manner for all people in every age and under every circumstance to understand, and that it is to be understood as literal as it can be and make good sense; - and that in every case where the language is figurative, we must let the Bible explain its own figures. We are in no case allowed to speculate on the Scriptures, and suppose things which are not clearly expressed, nor reject things which are plainly taught. Every Scripture passage must have its weight on a subject and then those passages must be harmonised. Passages are to be understood literally unless there is good reason to see them figuratively. The meaning of figures are found else where in the Bible. Here is Ellen’s Testimony concerning these rules of interpretation. NOTE IT WELL. The above is a portion of these rules; and in our study of the Bible we shall all do well to heed the principles set forth. All Scripture language is to be taken literally, unless there exists some good reason for supposing it to be figurative; and all that is figurative is to be interpreted by that which is literal. The beauty of Divine Revelation has been shut away from the minds of the common people, by their being taught, and supposing that the Bible does not mean what it says, or that the sense of the scripture writers is not contained in the scriptures themselves, but that they are mystical and have a hidden meaning. If this be a fact, we inquire, How shall we arrive at just conceptions of that word and its true interpretation? Oh, says one of the proud professors of our day, you go to Rev. Mr. A., Doctor of Divinity, he will enlighten your mind in regard to the matter. The second says, A. will not inform you aright; you must go to one of our Divines, and so all direct our attention to a different direction for an understanding of the word. They disagree among themselves, and thus are produced upward of 600 different sentiments of the present time. This grows out of the principle that the Bible does not mean what it says, but means something which is not conveyed to our minds by the literal reading of the text. If the position be true that the student of the Bible must first have a thorough knowledge of the popular theology of the age, before he can understand that book, then it would seem to the inquiring mind that the Bible, after all, was not the revelation of God's will, as it does not convey the idea of the author, but his meaning is to be found by the learning of the schools. If the Bible is the revelation of God's will to man, then his will is found in the book, and the book means what it says. We admit that figures are there used, and explained, but claim that a plain statement should be understood the same as when made in any other book. We can form no just conceptions of God's character as revealed in the word, if this be not the truth of the matter. If God had revealed his will in such a manner that man cannot understand it, and then pronounced in that word condemnation and death to those who did not obey his will, we should at once conclude that he manifested none of the character the word represents him as possessing. If the Bible is not a literal book, then we need another book, proceeding from the author of the Bible, explaining the revelation we now have, that we may have the will of God. It sustains the mischievous practice of mystifying, or making the Scriptures to have a secret or hidden meaning, in the plainest texts. This mischievous practice was brought into the church, almost as soon as the Apostles had left the world. The converts from heathenism seemed intent on uniting heathen philosophy with christianity. Hence they must find an abundance of mysteries in the Scriptures: and the practice of allegorizing, i.e. making the language to contain something that does not appear in the words, commenced and generally prevailed, before the third century. This was done, doubtless, with a view to lead heathen philosophers to embrace christianity, as affording them a fruitful field for their researches. But it led the church astray into the wild fields of conjecture; and every lively imagination could find hidden wonders in the Bible; while the plain literal meaning of the text was disregarded. That fatal practice increased from age to age, till the simplicity of the gospel was totally eclipsed, and the obscuration has not wholly disappeared to this day. It is exactly this plan Satan has brought to bear upon the Adventist church. The fight that our pioneers had against spiritualism coming to our ranks was relentless. But our pioneers resisted it. As we were about to journey to New Bedford, a special message came from Sister M. for me to come and relate what the Lord had shown me. Brother Nichols took my sister and myself to the house where quite a number were collected. There were individuals present whom I had been shown were strong fanatics. They dealt in a human or Satanic influence, and called it the spirit of God. I had not seen them before with my natural eyes, yet their countenances were familiar; for their errors and corrupting influence had been shown me, and I felt forbidden to relate my vision in such a company. There were some present that we loved; but they had been led away in this deception. The leading ones considered this a favorable opportunity to exert their influence over me, and cause me to yield to their views. The key thrust of Satan’s attack against God’s people after 1844 was trying to introduce spiritualized views. The rejection of the 1888 message by the church which left the church more vulnerable to satanic attack, combined with a dying off of some of the older pioneers opened a door to these theories coming in. Kellogg was the first obvious case. In dealing with the Kellogg crisis Ellen White makes the critical point that the errors of Kellogg were the same as that she met after 1844. The defense of Adventists against these spiritualized views was a view that the Father and Son were literal persons. The literal views of the pioneers were NOT simply unfortunate imported ideas from the Christian Connexion as is claimed, they were the cornerstone of guarding against spiritualized views. But Kellogg was only the first to fall; other leaders would succumb. There were a flood of apostasies from the church during the early part of the 20th century. Jones, Waggoner, Conradi and Ballenger just to name a few. But other figures who remained in the church also fell under the spell of spiritualized view. …you had no moral right to blaze out as you did upon the subject of the "Daily" and suppose your influence would decide the question. There was Elder Haskell, who has carried the heavy responsibilities, and there is Elder Irwin and several men I might mention who have the heavy responsibilities. Where was your respect for the men of age? What authority could you exercise without taking all the responsible men to weigh the matter? …A world-wide work is before us. I was given representations of John Kellogg. A very attractive personage was representing the ideas of the specious arguments that he was presenting, sentiments different from the genuine Bible truth. And those who are hungering and thirsting after something new were advancing ideas [so specious] that Elder Prescott was in great danger. Elder Daniells was in great danger [of] becoming wrapped in a delusion that if these sentiments could be spoken everywhere it would be as a new world. Ellen White clearly reveals that Daniells and Prescott were being attacked by Satan and in their warfare against Kellogg’s theories, they unwittingly succumbed to spiritualistic sentiments that would if possible deceive the very elect. The issue at hand was the subject of the Daily of Daniel. Prescott and Daniels embraced the view that the Daily is the ministry of Christ in Heaven, but such a view demands a spiritualized view that presents an attack on the Sanctuary in Heaven. The pioneers held the view that Daniel reveals two desolating powers: paganism and papalism. The daily is seen as paganism and the transgression of desolation seen as papalism. We do not want to engage the whole topic of the “Daily” controversy but simply to make the point that a shift to a spiritualized methodology is required to sustain the heavenly Daily. If we allow the “Daily” to mean Christ’s ministry, then we must spiritualize the terms “taken away” and “Place of his sanctuary cast down.” The actual place of the heavenly sanctuary is heaven itself, which the Papacy certainly did not cast down. It is evident that the obscuring of the work of Christ took place by the work of the Papacy but this is not reflected in the text of Daniel 8:11. Apart from the gaps in this theory, there does not appear any compelling evidence to accept this view except that as Ellen White states it presents beautiful sentiments that can deceive the very elect. It is this very point where our test of clinging to Scripture is tested most. It sounds pleasing to present Christ the Son of God as being God the Son and God in the same right as the Father in terms of power and position, but Satan takes advantage of our eagerness to exalt Christ and leads us to a spiritualized view of the terms Father and Son. The same is done with the “Daily.” In our eagerness to exalt Christ in the book of Daniel and show Christ as the central figure of the controversy (as we should) Satan takes advantage of this eagerness and introduces a small wedge that allows for a spiritualized view of reading the Bible and once the seed is accepted, it soon bore fruit. This fruit was most clearly manifested in the release of Questions on Doctrine. E. Seeds of Daniells and Prescott Spiritualized Daily Manifest in Q.O.D. regarding Father, Son and Nature of Christ. 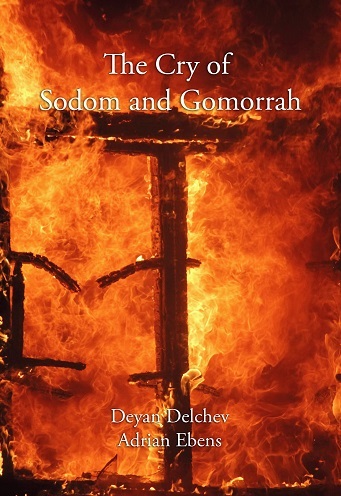 In my theological studies at Avondale, a literal six day creation was ridiculed, as was Christian perfection; the literal human nature of Christ; an emphasis on the nearness of Christ’s coming; the references to the Remnant and Babylon, the significance of the Investigative Judgment; all were ridiculed, undermined and in some cases debunked. I know this to be fact because I was there and I witnessed it. Every last doctrine was attacked in some way. The book Questions on Doctrine opened the flood gate of spiritualized views, both with the Godhead and the Nature of Christ. Once this door opened, there could be no stopping it. And it has not been stopped. I witnessed the overwhelming levels of the spiritualisation of Adventism in my training at Avondale College. One speaks of a “spiritual sanctuary of heaven rather than the literal visible one.” He ridicules the idea of a temple in heaven having walls, or furniture. This raises a question. What is a temple’? What is an immaterial temple? What are the “many mansion,” Christ spoke about in John 14:1-3. Are the mansions only symbols too? What is the “holy city,” New Jerusalem? Is that too but a symbol? The “great city, the Holy Jerusalem, has walls. If the temple does not have walls, does the holy city have walls? “The wall of the city had twelve foundations.” Revelation 21:14. Is this too, only a symbol, a mere airy fiction? If the “city, which hath foundations,” Hebrews 11:10, is real, why not the temple? How can you have a temple without walls? What is it? Away with such airy floating feathery fictions! Christ is real. Heaven is real. Our Lord’s return will be real. The resurrection of the saints will be real. The New Jerusalem is to be real. The temple of God is real. The redeemed will be real. They will eat and drink in the Father’s Kingdom. “They shall build houses, and inhabit them, and they shall plant vineyards and eat the fruit of them.” Isaiah 65:21. Are these things too, mere “symbols” or shadows? Will these houses in the Glory land have walls? If so, why not a heavenly temple? How can we as conservative Adventists hold a literal view of every facet of Bible Doctrine and then turn around and say that the terms Father and Son are not literal or real, where is the consistency in this? The rejection of the literal terms of Father and Son in the Godhead has been a key driving factor in the spiritualising of Adventist faith. I have heard of conservative Adventists standing in the pulpit and proclaim that Jesus was not literally the Son of God. Such denials of Christ are denials of the Father and such statements place a soul’s salvation in danger. It is said that the view that Adventists have fulfilled the parable of Matt.xxv,1-12, leads to spiritualism. This may be true; but take notice, this is not our position. The coming of the bridegroom is in the history of the marriage. Our position is, that a change has taken place in the position and work of our literal High Priest in the literal Sanctuary in heaven, which is to be compared to the coming of the bridegroom in the marriage. This view is a perfect safeguard against spiritualism. We not only believe in a literal Jesus, who is a "Minister of the Sanctuary," but we also believe that the Sanctuary is literal. - And more, when John says that he saw "one like the Son of man" "in the midst of the seven candlesticks," that is, in the Holy Place, we know not how to make the candlestick spiritual, and the Son of man literal. We therefore believe that both are literal, and that John saw Jesus while a "Minister" in the Holy Place. John also had a view of another part of the Sanctuary, which view applies to the time of the sounding of the seventh angel. …The Most Holy, containing the Ark of the ten commandments, was then opened for our Great High Priest to enter to make atonement for the cleansing of the Sanctuary. If we take the liberty to say there is not a literal Ark, containing the ten commandments in heaven, we may go only a step further and deny the literal City, and the literal Son of God. Certainly, Adventists should not choose the spiritual view, rather than the one we have presented. We see no middle ground to be taken. 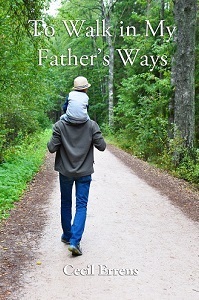 THE REJECTION OF THE LITERAL FATHER AND SON RELATIONSHIP OPENS THE DOOR TO A SPIRITUALISED METHOLODOGY FOR READING SCRIPTURE THAT OPENS THE DOOR TO A TRAIN OF HERESIES. After the introduction of the book Questions on Doctrine, our Doctrinal platform shifted slightly as shown in the following table. A literal weekly rest and is a memorial of a literal six day creation. Daily offered as both Paganism and Papacy. Under a Papal view, the taking away of the Daily is a spiritualized view that did not actually occur literally, but only in the minds of people. The Sanctuary was not literally cast down but spiritually in the minds of the people. Literal and real. Administered by the real priest Jesus. 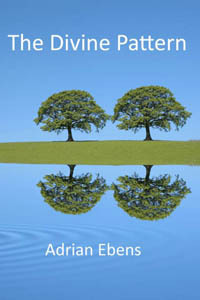 First and Second Person of Godhead take on the role of Father and Son but are not literally Father and Son. Terms such as the Spirit of God do not refer literally to the Father’s Spirit but to a separate person called the Holy Spirit. Papal view of Daily, the taking away of the Daily is a spiritualized view that did not actually occur literally, but only in the minds of people. The Sanctuary was not literally cast down but spiritually in the minds of the people. From the above list, you can see that our Adventist faith has been stripped bare. There is a weekly Sabbath and a virgin birth and a resurrection and a real second coming into a real heaven, but everything else is confused and spiritualized. The inroads of spiritualism are virtually complete. This type of Adventism will not survive the coming crisis. And those Conservative Adventists still clinging to the Questions of Doctrine version of Adventism or even conservative Adventism with just the acceptance of the Trinity, the door of spiritualised views are still open and such believers are vulnerable to Satan’s spiritualistic philosophies and are in great danger of receiving strong delusions. In his book Modern Spiritualism, Uriah Smith makes an extremely important point about why so much confusion abounds and false doctrine exists, it all comes back to one simple principle – the rejection of a literal interpretation of Scripture. This is what produces the doctrine of devils: Spiritualizing of the Bible text under the influence of or communication with evil spirits. Thus the communication with evil spirits – spiritualism, and their doctrine which is a spiritualizing of the text is also referred to as spiritualism. Both the communication and that which is communicated is spiritualism. If you read carefully Ellen White and other pioneers used the term spiritualism in both contexts – the communication and the method of Bible interpretation. Before we look at Uriah Smiths statement, we will look at some examples of how the term spiritualism can be used in the context of spiritualizing the text. I have been thus particular in quoting the Scriptures, in answer to the questions proposed, to endeavor if possible to dispel some of the thick darkness and mist of Shakerism, Quakerism, Swedenborgianism, and all the Spiritualisms that now seem to be settling down all over the moral world, and shutting out even the very light from the horizon. To my mind this spiritualizing system, when God's word admits of a literal interpretation, and - according to rule - the literal first; is, to use a sailor phrase, like a ship groping her way into Boston Bay in the night, in a thick snow with the moon at full. Nothing could be more deceptive to the mariner; the flying clouds at one moment light up the firmament by the thinness of its vapor, (encouraging the mariner to believe that he shall now see the light house) the next moment it grows darker, and so it continues to deceive them, until of a sudden the breakers are roaring all around them - the ship is dashed upon the rocks - one general cry goes aloft for mercy! and all hope is forever gone - ship and mariners strewed all over the beach! Good God! help us to steer clear of these spiritual interpretations of Thy word, where it is made so clear that the second coming and kingdom of Christ will be as literal and real, as the events that transpired at the first Advent, now recorded in history. There are some with us who formerly run into the deceptive fog of spiritualism, and gave up the literal Jesus, and made his glorious appearing only spiritual. It is evident that they never would have been delivered from that snare of the devil, had they not heard our views of present truth. Nothing can be so well calculated to dispel the mischievous mists of spiritualism, as the clear, literal view of the Heavenly Sanctuary. The term "Babylon" is not intended nor used as a term of reproach, but rather as a descriptive word setting forth the very undesirable condition of "mixture" and "confusion" in the religious world. It is certainly not the Lord's will, who prayed that all his people should be one, that scores or hundreds of divisions and sects should exist within his church. That is owing, exclaims the Catholic, to the Protestant rule of private judgment. It is not. It is owing to that Pandora's box of mystical interpretation placed in the church by old Origen, that prince of mischief-makers. By this method, which has no method and no standard, the interpretations of God's word will ever be as various and numerous as the whims and fancies that may find a place in the minds of men. But all this confusion must be remedied in that church which will be ready for the second advent; for no people will be prepared for translation but such as worship the Lord in both spirit and truth. To bring the Church to this point, a call has been sent to Christendom in the special truths for this time. Most turn away, but some are taking the stand to which these circumstances summon them. The process is simple. It is but to read and obey God's word in the light of what is called the literal rule of interpretation. No other rule would ever have been thought of, if the Devil had let the minds of men alone. 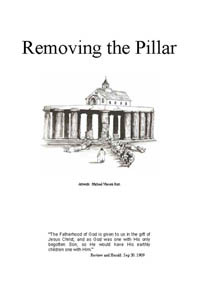 By this rule the true Sabbath would always have been maintained, a perfect safeguard against idolatry in the earth; the law would have held its place as a perfect, immutable, and eternal rule of conduct, a safeguard against the antinomianism of all ages and the Spiritualism of to-day, the view that the dead remain unconscious in the grave till the resurrection, would always have been held, and then there could have been no purgatory, no masses for the dead, no Mariolatry, no saint worship - in short, no Roman Catholicism, and no Universalism, nor Spiritualism; the true nature of the coming and kingdom of Christ would not have been lost sight of, and the peace and safety fable of a temporal millennium never could have existed. To say nothing of others errors that would be corrected, suppose all Christendom stood together on those four simple truths, how much division could there have been in the Christian world? A second denomination could not have existed. And what would have been the condition of things? - As different from the present condition as one can well imagine - no paganism, no Roman Catholicism, no Protestantism, no multiplied sects, no Spiritualism, - but Christianity, broad, united, free, and glorious. Some are taking their stand on these truths, and so will be shielded from the delusions of these last days, for which the way, by ages of superstition and error has been so artfully prepared. Every one must stand upon them who is governed by the literal rule of interpretation; for they are read in so many words of the sacred volume itself. But the churches generally reject them, often with bitterness, scorn, and contempt, and some even with persecution. And this is why Babylon has fallen. Notice carefully in the following passage how the Ellen White associates the term spiritualism with a teaching and with a removal of literalness. The passage has to do with the realness of Jesus and His Father. Her remedy is to take the Bible simply as it reads and I agree. I have frequently been falsely charged with teaching views peculiar to Spiritualism. But before the editor of the Day-Star ran into that delusion, the Lord gave me a view of the sad and desolating effects that would be produced upon the flock by him and others in teaching the spiritual views. I have often seen the lovely Jesus, that He is a person. I asked Him if His Father was a person and had a form like Himself. Said Jesus, "I am in the express image of My Father's person." I recommend to you, dear reader, the Word of God as the rule of your faith and practice. Arthur White makes the point that Ellen White’s fight against spiritualising God, Christ and heaven saved the emergent church. Samuel Koranteng-Pipim, Receiving The Word (Berean Books, Berrien Springs, Michigan 1996) Page 32. The view of the nature of Christ has altered widely in Adventism. The view that Christ took a pre-fall nature demands a spiritualized view of texts in Hebrews and Romans. Heb 2:16 states that Christ took on Him the seed of Abraham, not the seed of Adam before the fall. Rom 1:3 states that He was made of the seed of David according to the flesh. The statements are simple and unambiguous. Taking a pre-fall view of the nature of Christ forces these passages to be figurative in some sense. Miller’s Works Volume 1 Page 33. J.N Loughborough. Man’s Present Condition and His Future Reward or Punishment (Advent Review Office, 1855) Page 7. George Knight. A Search For Identity (Review and Herald, 2000) page 32. Prescott and Daniells had embraced the “new view” of the Daily that had come from Conradi and Waggoner. The new view demands that the phrase “casting down the place of his sanctuary” is not a literal event but rather a spiritual casting down in the minds of men. This shift dismantled several planks in the pioneer presentation of Daniel and Revelation. Miqdash can be used for God’s or pagan sacred place. The Captial of Rome was moved to Constantinople in 330AD fulfilling Daniel 11:24’s prophecy of a 360 year rule from Rome. Start date is 31BC with the Battle of Actium. The conversion of the Barbarian tribes to Catholicism between 496 A.D and 508 A.D – See Daniel and Revelation by Uriah Smith page 177, 1897 edition. Papacy persecuted and killed more than 50 million of God’s people during 1260 years between 538-1798 AD. The priesthood of the Papacy obscured the priesthood of Christ by pointing people to earthly priests. Daniel 8:13 speaks of the treading down of the [qodesh] sanctuary and finds legitimacy in Hebrews 10:28 where Paul states the Son of God is trodden under foot. See Bible Adventism Sermon 8 “Trodden Under Foot” by James White for more detail. Questions on Doctrine Page 256; RH July 14, 1927 Page 6. Anderson, R.A. Review and Herald Aug 3 1962, “The Ministry of Christ in the Heavenly Sanctuary”: “It was "when he had by himself purged our sins" that He "sat down on the right hand of the Majesty on high" (Heb. 1:3). Arthur White. Biography of Ellen White Vol 1. Page 80. “As one reads this he will note the use of the term spiritualism, which must be taken in the light of the work of the spiritualizers and not in the light of what today is understood to be spiritualism or spiritism, although both emanate from the same source.